Despite being someone who is very keen on homeware and home décor, I hadn't heard much about Graham & Brown until I saw a few posts floating around about them in the blogosphere. From what everyone else was writing, they seemed like a really great quality home décor brand with a wide selection of items to spruce up your home - and I can vouch for this. Soon after, an email popped up in my inbox asking if I would like to review a product from them. No thought was needed in replying about how much I would love to feature them on my blog. It was only after receiving (and loving) the product they sent that I decided to check out what else they sell. Although I had seen a few things from various wishlists, I found so many different things on their site that I love. I especially like their selection of Disney and comic book prints - especially as they are quite vintage looking. They also have so many different canvases and a lot of wall art for mostly around £20 which, I think, is reasonable for a really nice piece. They also do a lot of really pretty wallpaper which I will definitely purchase when I finally am freed from rented accommodation (I am ever hopeful that that will happen one day...). The item that Graham & Brown sent me was their Bee Happy wall art and I absolutely love it. I initially fell for the Bee Happy slogan as I felt like that was really fun and I think the slate grey colour could work really well with any colour scheme. This product is really nice quality and I love that the honeycomb design in the corners has little gold, glittery bits on it. Also the bit you hang it from is a gold chain which is a really pretty and unusual design feature. I would very much advise checking out Graham & Brown - especially if you're looking to spruce up your home with an interesting piece of wall art or a pretty feature wall with some of their wallpaper. 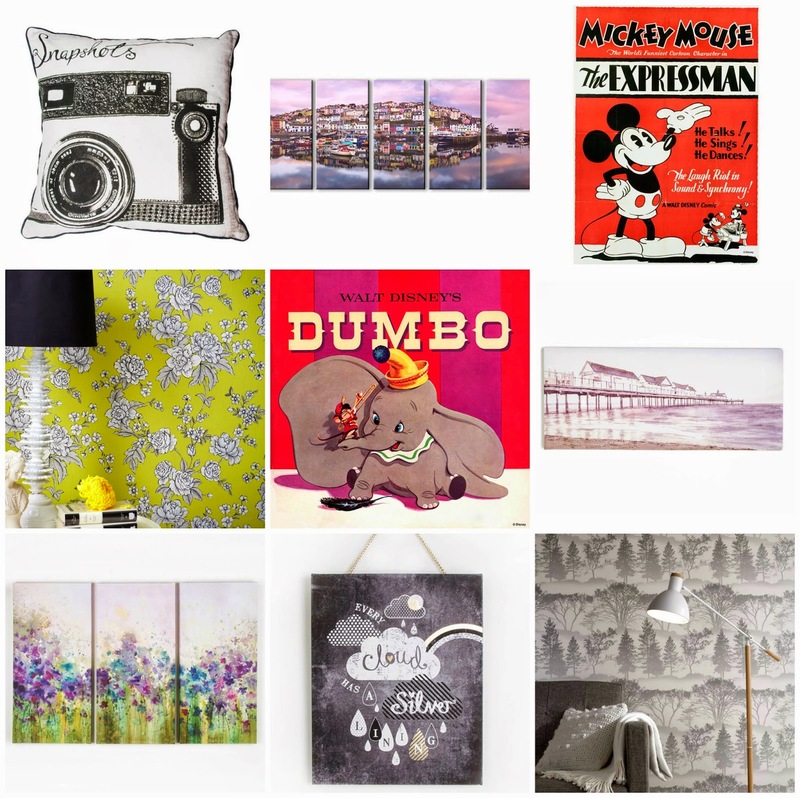 Ooo I love this, especially the Disney stuff! Their home decor is unique! Wow beautiful and thanks for the visit. The Bee Happy wall art is impressive, I like it and the drawing is perfect!